Flip Out Mama: Flip Out Mama's Vday Lovefest- Sponsor #1- Enjoy Lighting! Flip Out Mama's Vday Lovefest- Sponsor #1- Enjoy Lighting! Enjoy Lighting is the first sponsor of our Vday Lovefest! This is my new fave company! They make the most awesome flameless candles that you will ever find! 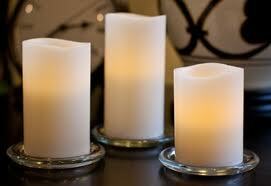 They look like real candles, they are made of wax, they even smell like real candles! I am so excited to be doing a review and giveaway for Enjoy Lighting! Stay tuned for our Lovefest debuting the first week of February! 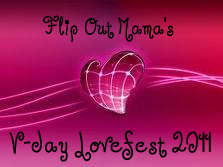 If you are interested in sponsoring our Lovefest, email me (theflipoutmama@gmail.com)!